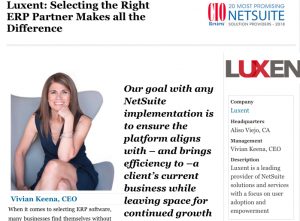 April 14, 2015 – Aliso Viejo, CA: Luxent, the leading CRM and ERP solution and service provider that brings the best of the cloud to manufacturers, today announced that it has expanded its Salesforce consulting offerings to include Pardot certification and marketing automation services. 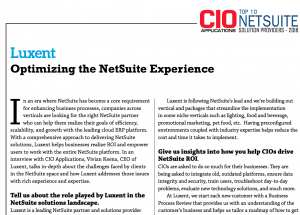 A certified Salesforce partner since 2009, Luxent has quickly built a reputation as a leading service and solution provider for manufacturers and distributors. Its iQ Configure, Price, Quote application, designed to handle complex and configured quotes through Salesforce’s native platform and mobile capabilities, has been available on the AppExchange since 2013. Luxent also offers an integration solution to integrate data between Salesforce and other business-critical systems including Enterprise Resource Planning and E-Commerce.